Faceted porcelain bath set, $69. 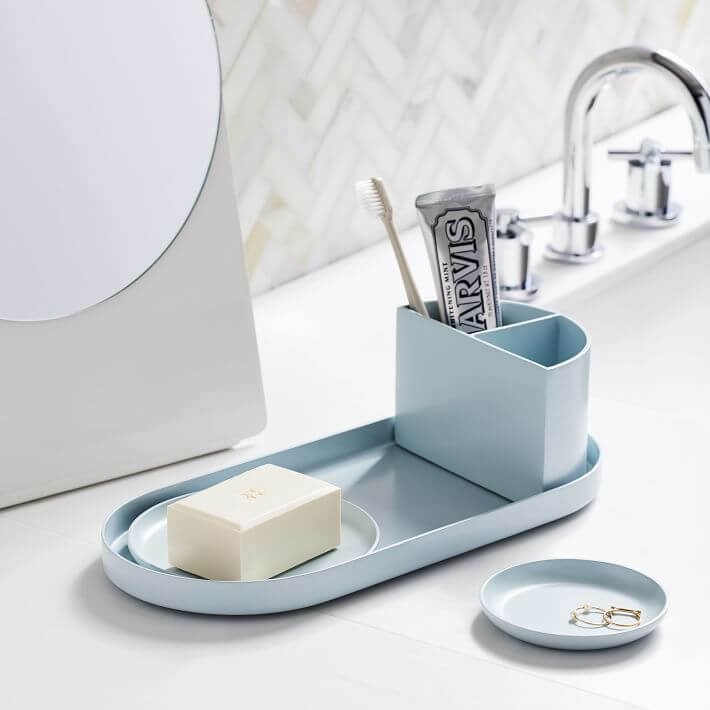 Clean lined and in a matte finish, there is something decidedly mod about this set of countertop essentials. Modern matte bath accessories, $59. 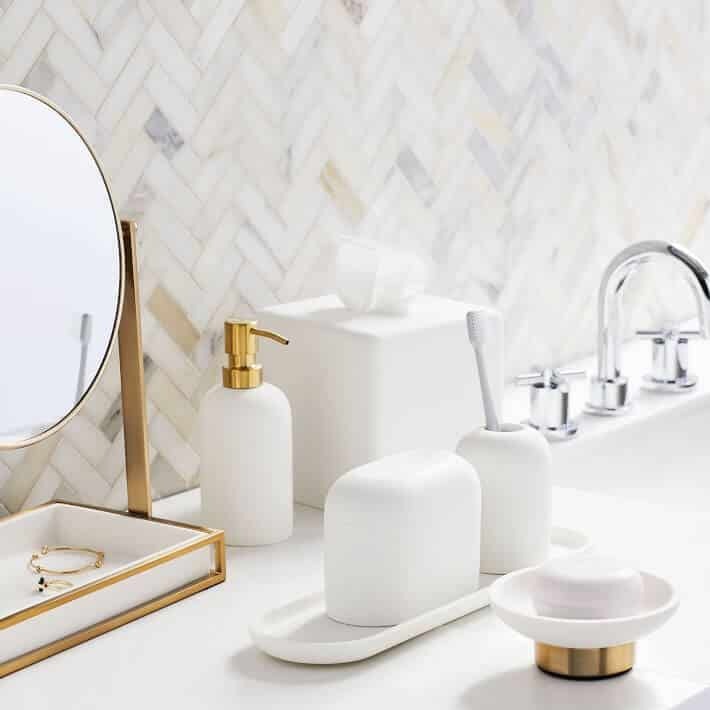 If you’re after a bathroom that will help you channel your inner old Hollywood star-self, this is the set for you. 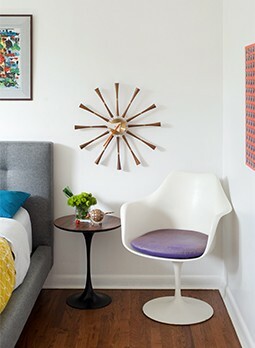 That hint of gold is as mid mod as it is chic. Modern resin stone bath accessories, $69. Want even more mid century style in your day? Follow Atomic Ranch on Instagram!